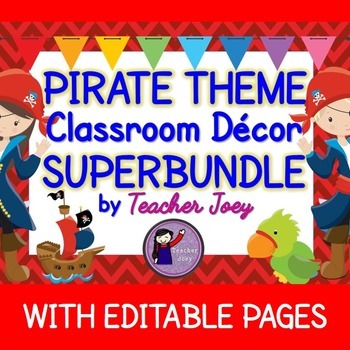 Pirate Theme: Pirate Theme: Classroom Decor: Decor: Editable: Bundle! 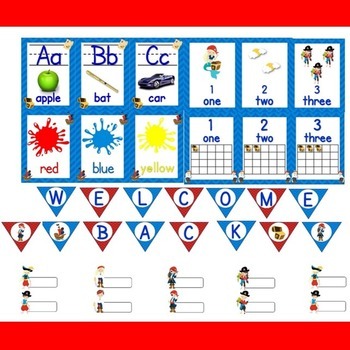 Please see the preview to have a peek of this bundle! That's a total of 270 pages in print-and-go pdf file! But wait there's more! 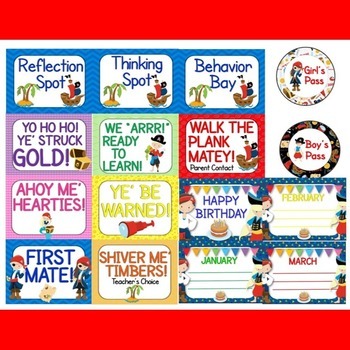 I also prepared a ppt of file of 30 pages of editable templates that you can use in customizing labels for your class! 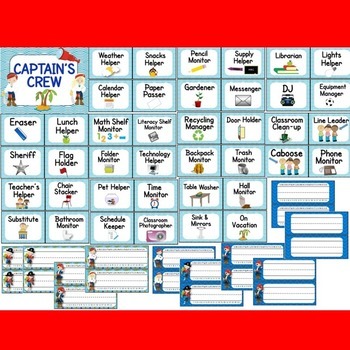 I also included the freeware font that I used, SF Cartoonist Hand.